On July 24th, Google officially launched Chrome 68. With new features and security enhancements, Chrome continues to leverage its market dominance to push for a safer and more secure internet. From the beginning, security has been one of Chrome's core principles and one of the biggest changes in Chrome 68 is displaying 'Not Secure' warnings for websites not encrypted with HTTPS. Nearly two years ago, Google announced that Chrome would eventually start marking all sites that are not encrypted with HTTPS as 'Not Secure' as an attempt to motivate site owners to improve the security of their websites. With the release of Chrome 68, that has now become a reality. Google isn't finished yet though. Starting in October 2018, Google plans to start showing a red 'Not Secure' warning when users enter data on pages that are not served using HTTPS. If any of your customer's websites are still without SSL Certificates, now is the time to help your customers be more secure and avoid these Chrome security indicators by offering SSL Certificates using WHMCS. With the help of MarketConnect from WHMCS, selling SSL has never been easier or more automated. 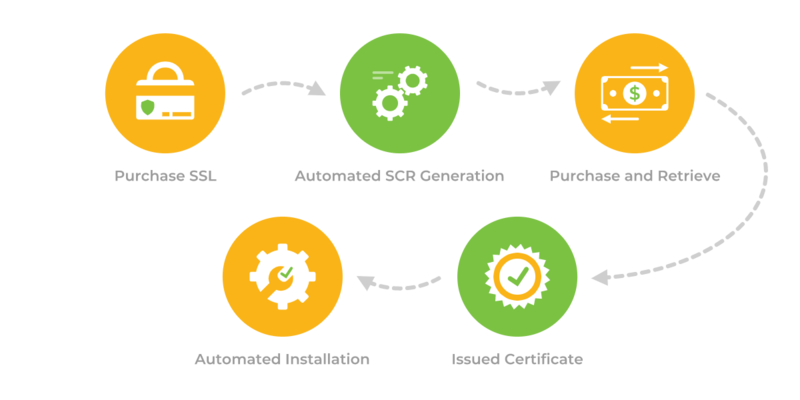 MarketConnect automates the entire SSL lifecycle, from the initial purchase and provisioning process, to CSR generation, provisioning, deployment and renewal. If you haven't activated MarketConnect yet, learn more how you can start selling SSL today. And with our free marketing resources and ready-made landing pages, selling SSL has never been easier.